AQHA Classicwatchquickson, a/k/a Tazz, is a liver chestnut stallion foaled in August 2006. Tazz is the last son of Classic Watch and he is double bred Watch Joe Jack & Harlan's Tyree. His dam, Chaffee Be Quick, is a granddaughter of Watch Joe Jack and is double bred Poco Bueno. Tazz is 5-panel negative & 87.89% foundation. 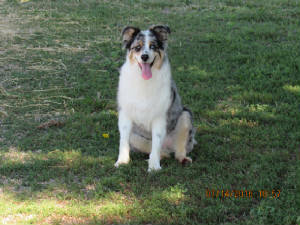 He has a nice disposition, pretty conformation and stands 15-1 hands.Tazz was purchased in April 2009 and in 2011 he earned his open ROM in heeling. He was trained and shown by Riley Renner of Ericson, NE. 2016 & 2017 foals are eligible for the Pitzer Ranch HP Invitational. AQHA 2004 Hancock Tripper Blue, a/k/a Elvis, is a blue roan stallion going back to Blue Valentine 4 times. Bloodline percentages, thru the 4th generation, are as follows: 37.50% Blue Valentine, 37.50 Rowdy Blue Man, and 12.50% Red Man. 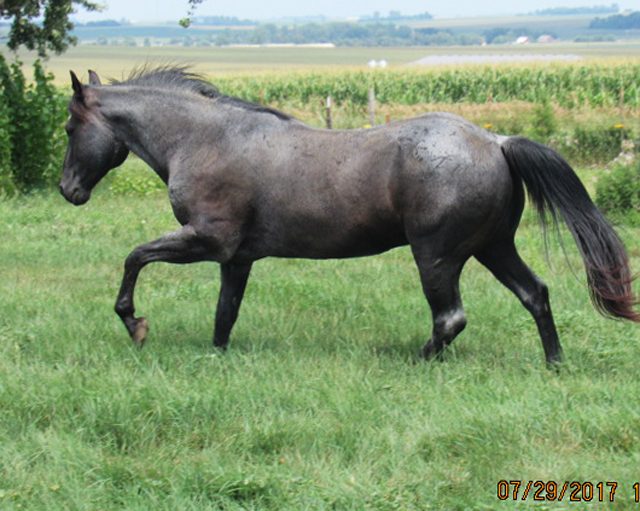 Elvis is homozygous black & roan, 5 panel negative, and 92.97% foundation. Elvis is well broke, stands 14-3 hands, and is very gentle to handle. We are a small family operation. Our horses are foundation bred and we breed for disposition, conformation, good bone & minds. They are bred to ride, work, and look good. Our program is focused primarily on Roan Bar, Tom Baker, Watch Joe Jack, Peponita, and high percentage foundation bloodlines. Several mares are FQHR registered and you can see extended pedigrees by clicking on the links within each page. We are located approximately 40 minutes SE of Sioux Falls, SD. 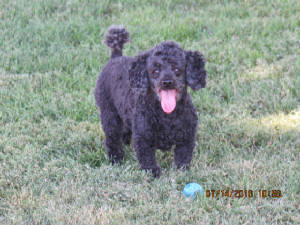 Toy poodle Polly, keeps up with the big dogs!